Twenty travel agents from several cities in Colombia took part in different activities and site inspections in order to familiarize themselves with the destination. Their verdict: Plenty of sales in the near future. Twenty Colombia travel agents recently enjoyed a FAM trip as part of the promotional plan the Riviera Nayarit Convention and Visitors Bureau (CVB) is undertaking in that country’s emerging market. During Easter Week the agents enjoyed the Riviera Nayarit and agreed the Mexican and Colombian cultures have much in common, while also stating the destination is well within economic reach of Colombians. Amparo Leal, General Manager for Boyaca Tours, was surprised both by the hotel infrastructure in the region and the warmth of Mexican hospitality. “I’d like to point out that the destination really does preserve the authenticity of the Mexican culture. The Colombians that have already visited the Caribbean need to see how beautiful the Pacific is, because there is certainly a market for this region,” declared Lina María Arcila, Medellin’s Director for Pelícanos Tours. She also added that the rates were very competitive and accessible for Colombians and wished there was a direct flight sometime soon from Colombia to the Vallarta-Nayarit International Airport. “Actually, when we were at Anato we talked about this (a direct flight) and we feel it’s very important because clients like flights with few or no stops,” said Arcila. 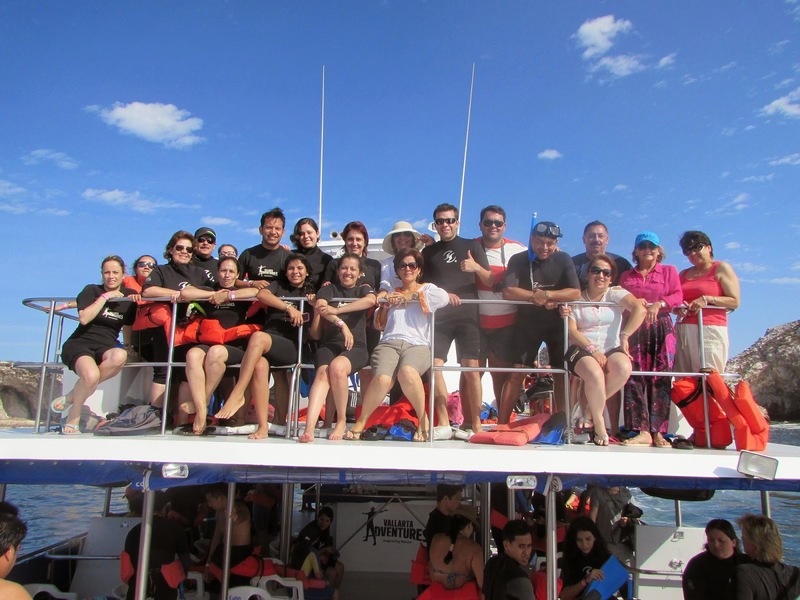 The agents were lodged at the Hotel Iberostar Playa Mita, Riu Jalisco and Hard Rock Hotel; they experienced an ecotourism adventure at Rancho Mi Chaparrita and were accompanied by Vallarta Adventures to the Marietas Islands. Site inspections were held at each of the hotels they stayed, as well as Marival Residences, Grand Velas Riviera Nayarit and Occidental Grand. They also visited Sayulita, where they took surfing lessons and ate at Don Pedro’s.